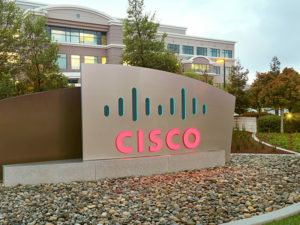 For the past three decades, Cisco has been working tirelessly to securely connect the world in motion. Between where you are going and where you want to be, there’s a bridge. And at Cisco, we are the architects of possible. Cisco’s secure networking, collaboration, wireless, and data center technologies have long been a fixture in the industry — and our expanded portfolio offers practical, forward-thinking solutions for every mode of transportation. With constantly changing technology being the new norm, there’s an endless frontier to explore and master. Cisco Validated Designs (CVD) provide the technologies, features, and applications that help you build the foundation for your intelligent transportation system priorities. Our CVD solutions for railways and other mass transit environments connect workers, passengers and vehicles from one network to another without disruption. Our dedication to comprehensive testing gives you the confidence to deploy your own solution. We help you tackle your concerns around maintaining high levels of safety, improving asset utilization and managing increasing costs. Our CVD solutions are guaranteed to work as specified, minimizing your risk and meeting performance expectations as promised. We give you all the building blocks for system design and configuration that fit your requirements. And because we can all use a helping hand sometimes, 24-hour support is available for your CVD needs. Fluidmesh Networks: Train-to-trackside radio systems for near seamless connectivity of high-speed trains. Klas Telecom: Fully rail-certified, ruggedized onboard gateways and Ethernet switches. Lilee Systems: Fully rail-certified, ruggedized onboard gateways. Davra Networks: The RuBAN™ Application Enablement Platform for infrastructure and service management. Advantech: High performance, high quality ruggedized computing platform. Cubic: Integrated systems for transportation and traffic management that allow travelers to choose the best way to travel and pay for their journeys. Davra Networks: The RuBAN™ system provides a comprehensive network management system and a data analytics and management platform for monitoring Vehicle performance and metrics. Sonim: Ruggedized Android smartphone, purpose built for mission-critical communications. Trapeze: TransitMaster™ information management system provides real-time data messaging. From strategy to execution, Cisco can help plan, build, manage and support your connected transportation goals. Industry leading experience and award-winning solutions will help you improve system operational efficiency, scalability, security, and profitability. With an end-to-end approach that aligns outcomes to your business goals.